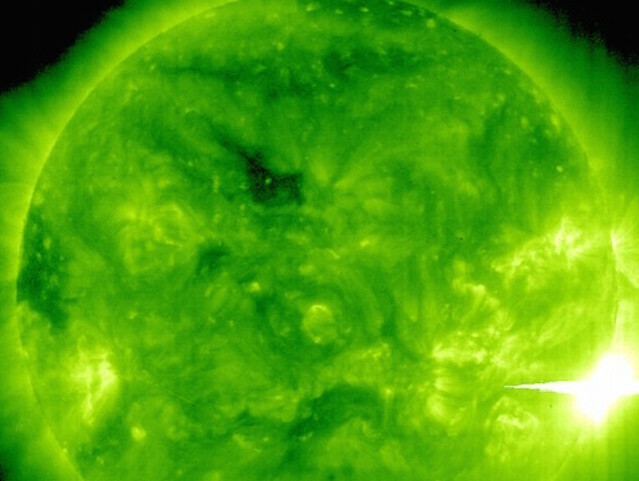 New scientific discoveries are indicating that this next solar flare cycle could potentially be powerful enough to disrupt our planet’s entire electric grid. In this report, I will document the number of changes taking place with our magnetic field, the sun and our solar system while explaining some of the concerns that today’s leading scientists have voiced. I will also be examining how humankind may also be affected energetically. TV, cell phone towers, power lines, and house appliances—while they make lives more convenient for some, they also contribute to polluting our electromagnetic atmosphere. A growing number of scientists, health care professionals, and concerned citizens argue that these invisible frequencies are responsible for a host of various health problems. Meanwhile, the largest polluter has gone unnoticed: the sun. And it’s about to fire up again. The magnetosphere is a bubble of magnetism that surrounds Earth and protects us from solar wind. Fortunately, our planet’s magnetic field diverts most particles into a circular path around the Earth. Like weather patterns found on Earth, solar wind patterns can change rapidly. Luckily, our planet’s magnetosphere quickly responds to the threat and absorbs the impact, wiggling and jiggling in the process. Geophysicists call this reaction a geomagnetic storm, but because of how it disrupts the Earth’s magnetic field, it could also be called electromagnetic pollution. This is when we see the Aurora Borealis in our night skys. The Earth’s magnetic field has been decreasing. This decrease actually began 2000 years ago, but the rate of decrease suddenly became much more rapid 500 years ago. Now, in the last 20 years or so, the magnetic field of the planet has become erratic. Aeronautical maps of the world — which are used to allow airplanes to land using automatic pilot systems — have had to be revised worldwide in order for the automatic pilot systems to work. Late last year, the Arctic ice cap on the exact spot of the North Pole completely melted for the first time in known history. Green Peace reported that, relative to the winter ice pattern, the cap had previously melted over 300 miles toward the pole, and that late last year both military and civilian ships were able to actually pass directly over the North Pole. It was water. Until now, as far as we know, there has never been a time where the ice was less than ten feet thick. In contrast, the South Pole has an ice cap that is about three miles deep, and yet huge pieces of ice continue to break off and melt. NASA’s five THEMIS spacecraft have discovered a breach in Earth’s magnetic field ten times larger than anything previously thought to exist. When this happens, solar wind can flow in through the opening to “load up” the magnetosphere for powerful geomagnetic storms. Exploring the mystery is a key goal of the THEMIS mission, launched in February 2007. The big discovery came on June 3, 2007, when the five probes serendipitously flew through the breach just as it was opening. Onboard sensors recorded a torrent of solar wind particles streaming into the magnetosphere, signaling an event of unexpected size and importance. But the breach itself is not the biggest surprise. Researchers are even more amazed and baffled at the unexpected way it forms, overturning long-held ideas of space physics. The size of the breach shocked researchers. “We’ve seen things like this before,” says Li’s colleague Jimmy Raeder, “but never on such a large scale. The entire day-side of the magnetosphere was open to the solar wind. This is changing our understanding of the universe. Space physicists have long believed that holes in Earth’s magnetosphere open only in response to solar magnetic fields that point south. The great breach of June 2007, however, opened in response to a solar magnetic field that pointed north. To the lay person, this may sound like a quibble, but to a space physicist, it is almost seismic. It means that something is happening out there that they didn’t predict and that is what has them frightened. Here is where the scientific understanding our how magnetic field is changing: What is understood today in the scientific community is that the solar wind presses against the Earth’s magnetosphere almost directly above the equator where our planet’s magnetic field points north. Scientists previously believed that if a bundle of solar magnetism came along, and points north, too, the two fields should reinforce one another strengthening Earth’s magnetic defenses and slamming the door shut on the solar wind. In the language of space physics, a north-pointing solar magnetic field is called a “northern IMF” and it is synonymous with shields up. The big surprise is that when a northern IMF came along, the shields went down. This is completely overturning many scientists understanding of things. As Researchers investigated the tear in the magnetic field, they discovered that twenty times more solar wind passed into the Earth’s protective shield when the magnetic fields were aligned. Northern IMF events don’t actually trigger geomagnetic storms, notes Raeder, but they do set the stage for storms by loading the magnetosphere with plasma. A loaded magnetosphere is primed for auroras, power outages, and other disturbances that can result when a CME (coronal mass ejection) hits. This means the impact of solar flares are twenty times as strong with the magnetic lines are aligned. 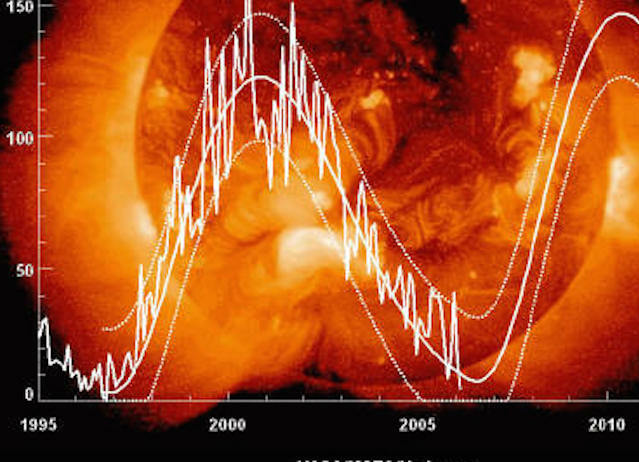 Earth’s and the sun’s magnetic fields will be in sync at the solar cycle’s peak, expected in 2012. This will cause an influx of solar particles. What the scientists didn’t discuss is the impact on the human bio-electrical system. The earth’s climate has been significantly affected by the planet’s magnetic field, according to a Danish study published in January 2009 that could challenge the notion that human emissions are responsible for global warming. “Our results show a strong correlation between the strength of the earth’s magnetic field and the amount of precipitation in the tropics,” one of the two Danish geophysicists behind the study, Mads Faurschou Knudsen of the geology department at Aarhus University in western Denmark, told the Videnskab journal. The results of the study, which has also been published in US scientific journal Geology, lend support to a controversial theory published a decade ago by Danish astrophysicist Henrik Svensmark, who claimed the climate was highly influenced by galactic cosmic ray (GCR) particles penetrating the earth’s atmosphere. What Drives Earth’s Magnetic Field? When an electric current passes through a metal wire, a magnetic field forms around that wire Likewise, a wire passing through a magnetic field creates an electric current within the wire. This is the basic principle that allows electric motors and generators to operate. In the Earth, the liquid metal that makes up the outer core passes through a magnetic field, which causes an electric current to flow within the liquid metal. The electric current, in turn, creates its own magnetic field—one that is stronger than the field that created it in the first place. As liquid metal passes through the stronger field, more current flows, which increases the field still further. This self-sustaining loop is known as the geomagnetic dynamo. Material from the liquid outer core slowly “freezes” onto the inner core, releasing heat as it does so. (High pressures within the Earth cause material to freeze at high temperatures.) This heat drives convection cells within the liquid core, which keeps the liquid metal moving through the magnetic field. Energy is needed to keep the dynamo running. This energy comes from the release of heat from the surface of the solid inner core. Our planet’s spinning motion causes the moving liquid metal to spiral, in a way similar to how it affects weather systems on the Earth’s surface. These spiraling eddies allow separate magnetic fields to align and combine forces. Without the effects caused by the spinning Earth, the magnetic fields generated within the liquid core would cancel one another out and result in no distinct north or south magnetic poles. “What is so surprising is that rapid, almost sudden, changes take place in the Earth’s magnetic field,” said study co-author Nils Olsen, a geophysicist at the Danish National Space Center in Copenhagen. The findings suggest similarly quick changes are simultaneously occurring in the liquid metal, 1,900 miles (3,000 kilometers) below the surface, he said. Fluctuations in the magnetic field have occurred in several far-flung regions of Earth, the researchers found. 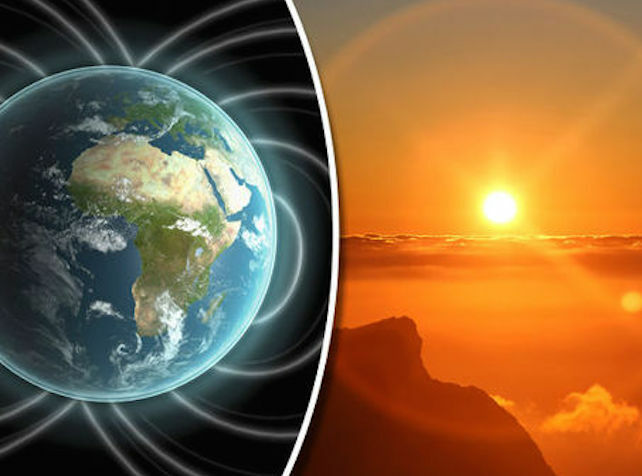 The changes “may suggest the possibility of an upcoming reversal of the geomagnetic field,” said study co-author Mioara Mandea, a scientist at the German Research Centre for Geosciences in Potsdam. Earth’s magnetic field has reversed hundreds of times over the past billion years, and the process could take thousands of years to complete. The decline in the magnetic field also is opening Earth’s upper atmosphere to intense charged particle radiation, scientists say. An international team of researchers has discovered a puzzling surplus of high-energy electrons bombarding Earth from space. The source of these cosmic rays is unknown, but it must be close to the solar system and it could be made of dark matter. Their results are being reported in the Nov. 20th issue of the journal Nature. “This is a big discovery,” says co-author John Wefel of Louisiana State University. “It’s the first time we’ve seen a discrete source of accelerated cosmic rays standing out from the general galactic background.” To study the most powerful and interesting cosmic rays, Wefel and colleagues have spent the last eight years flying a series of balloons through the stratosphere over Antarctica. Their NASA-funded cosmic ray detector found an significant surplus of high-energy electrons. “The source of these exotic electrons must be relatively close to the solar system—no more than a kiloparsec away,” says co-author Jim Adams of the NASA Marshall Space Flight Center. Galactic cosmic rays are subatomic particles accelerated to almost light speed by distant supernova explosions and other violent events. They swarm through the Milky Way, forming a haze of high energy particles that enter the solar system from all directions. Cosmic rays consist mostly of protons and heavier atomic nuclei with a dash of electrons and photons spicing the mix. Why must the source be nearby? Adams explains: “High-energy electrons lose energy rapidly as they fly through the galaxy. They give up energy in two main ways: (1) when they collide with lower-energy photons, a process called inverse Compton scattering, and (2) when they radiate away some of their energy by spiraling through the galaxy’s magnetic field.” High-energy electrons are therefore local but the researches cannot pinpoint the source in the sky. According to the research, this source would need to be within about 3,000 light years of the sun. It could be an exotic object such as a pulsar, mini-quasar, supernova remnant or an intermediate mass black hole. The sun is a massive electromagnetic broadcaster which floods the planets of the solar system with heat, light, UV radiation, and electrically charged particles. The Sun itself has a magnetic field, and that magnetic field creates an “egg” around the Solar System that is known as the “heliosphere.” The heliosphere is shaped like a teardrop, with the long, thin end of the drop pointing away from the direction in which we’re traveling. 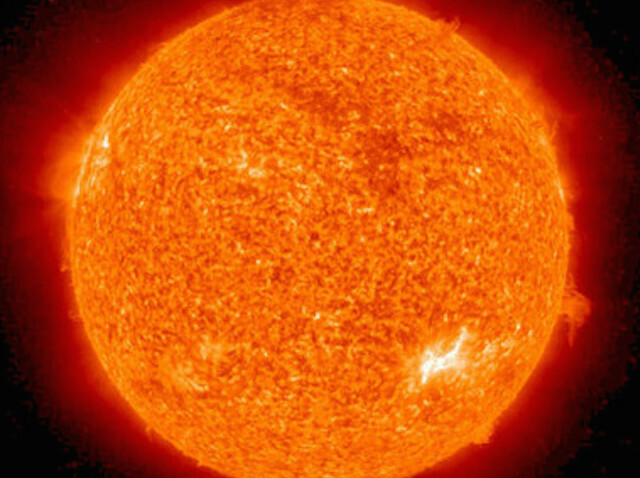 The Sun is the center of our Solar System, and all life that is on this Earth came from the Sun. If there were no Sun, we would not be alive. This is simply scientific fact. And so any changes that occur in or on the Sun will eventually affect every person alive. 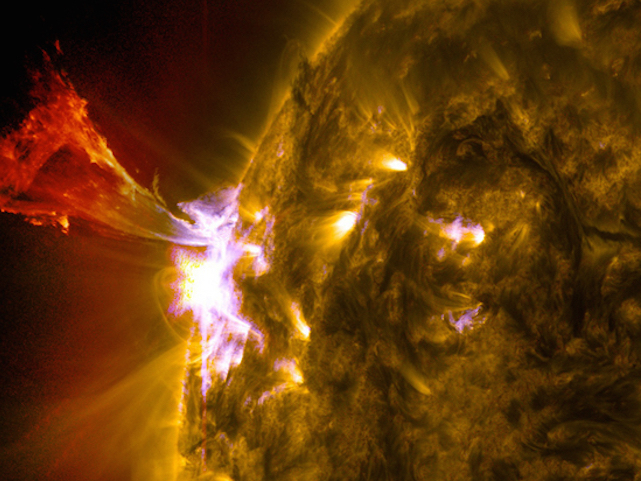 The solar activity during this last sunspot cycle was greater than anything ever seen before. One recent study by Dr. Mike Lockwood from Rutherford Appleton National Laboratories in California has been investigating the Sun activity for the last hundred years. He reports that since 1901 the overall magnetic field of the Sun has become stronger by 230 percent. Scientists do not understand what that means for us. The Sun flips its Magnetic Poles every eleven years. Considering that the Sun is to blame for some unfavorable climate changes on the Earth, the coming decade could spell more trouble for our planet. The years ahead could be intense. 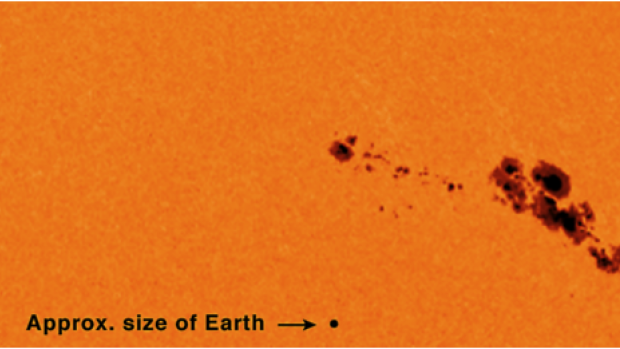 Every 10–11 years, the number of sunspots found on our closest star rise from 0 (as it is currently in 2008) to a high of over 400. While the sunspots themselves don’t affect Earth, the solar flares and other disturbances emanating from our sun during increased sunspot activity result in an increased number of particles (electrons and protons) and harmful light radiation (ultraviolet and x-rays), known as solar wind. If it weren’t for Earth’s protective magnetic field and atmosphere, this bombardment of particles would burn us to a crisp. The next sunspot cycle will be 30-50% stronger than the last one and begin as much as a year late, according to a breakthrough forecast using a computer model of solar dynamics developed by scientists at the National Center for Atmospheric Research (NCAR). Predicting the Sun’s cycles accurately, years in advance, will help societies plan for active bouts of solar storms, which can slow satellite orbits, disrupt communications, and bring down power systems. The scientists have confidence in the forecast because, in a series of test runs, the newly developed model simulated the strength of the past eight solar cycles with more than 98% accuracy. The forecasts are generated, in part, by tracking the subsurface movements of the sunspot remnants of the previous two solar cycles. The team is publishing its forecast in the current issue of Geophysical Research Letters. According to theory and observation, the speed of the belt foretells the intensity of sunspot activity ~20 years in the future. A slow belt means lower solar activity; a fast belt means stronger activity. “The slowdown we see now means that Solar Cycle 25, peaking around the year 2022, could be one of the weakest in centuries,” says Hathaway. The first measuring instruments made their appearance 440 years ago. They showed that our nearest star treats the Earth to more than just solar eclipses. Sunspots, solar flares, faculae and other phenomena affect everything on the Earth: from atmospheric events to human behavior. These phenomena are known collectively as solar activity. This activity, expressing itself through bursts of solar radiation, magnetic storms or fiery flares, can vary in intensity, from very low to very strong. It is the storms that pose the greatest danger to civilization. On August 28, 1859, polar lights glowed and shimmered all over the American continent as darkness fell. Many people thought their city was aflame. The instruments used to record this magnetic fluctuation across the world went off their scales. Telegraph systems malfunctioned, hit by a massive surge in voltage. It was perhaps the worst in the past 200 years and with the advent of modern power grids and satellites, much more is at risk. This was an actual solar storm. Its results for humankind were small, because civilization had not yet entered a hi-tech phase of development. Had something similar happen in our nuclear space age, destruction would have been catastrophic. Meanwhile, according to scientific data, storms of such size occur relatively seldom: once in five centuries. But events with half the intensity happen every 50 years. The last one took place on November 13, 1960 and disturbed the Earth’s geomagnetic fields, upsetting the operation of radio stations. Now our dependence on radio electronic devices is so immense thatincreased solar activity could disable life-support systems all over the world, and not only on the surface. Poor space weather makes all orbital systems malfunction. 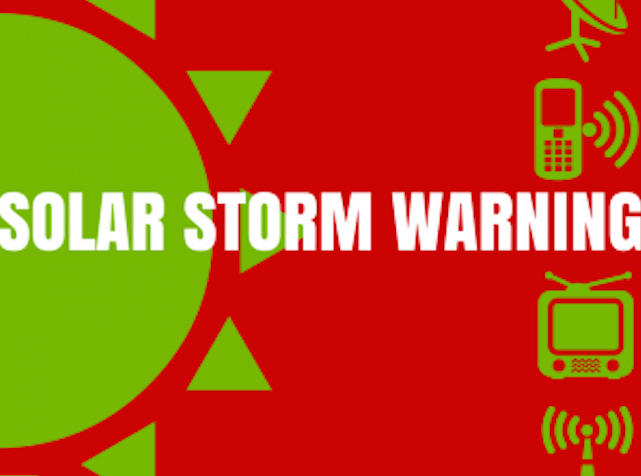 A heavy solar storm can cause disruption to space-based navigation systems. NASA is now sounding an alarm because our continent is so close to the northern magnetic pole and is the most vulnerable to solar activity. A study by the MetaTech Corporation revealed that an impact similar to that of 1859 would incapacitate the entire electricity grid in North America. Even the relatively weak magnetic storm of 1989, provoked by solar activity, caused an accident at a Canadian hydro-electric power plant that left 6 million people in the U.S. and Canada without electric power for nine hours. A new study from the National Academy of Sciences also outlines grim possibilities on Earth for a worst-case scenario solar storm. Modern power grids are so interconnected that a big space storm — the type expected to occur about once a century — could cause a cascade of failures that would sweep across the United States, cutting power to 130 million people or more in this country alone, the new report concludes. 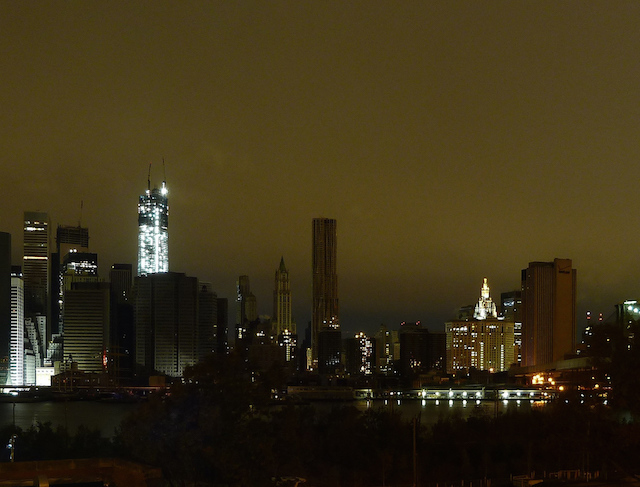 Such widespread power outages, though expected to be a rare possibility, would affect other vital systems. “Impacts would be felt on interdependent infrastructures with, for example, potable water distribution affected within several hours; perishable foods and medications lost in 12-24 hours; immediate or eventual loss of heating/air conditioning, sewage disposal, phone service, transportation, fuel resupply and so on,” the report states. Outages could take months to fix, the researchers say. Banks might close, and trade with other countries might halt. “Emergency services would be strained, and command and control might be lost,” write the researchers, led by Daniel Baker, director of the Laboratory for Atmospheric and Space Physics at the University of Colorado in Boulder. Could cycles of war and peace be tied to cycles of the sun? 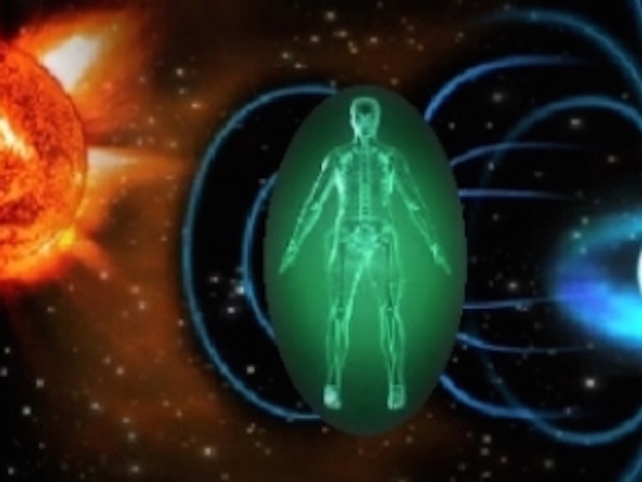 Some researchers claim that geomagnetic storms affect brain waves and hormone levels, causing a number of different reactions, predominately in males. While a few women may also experience changes during these storms, they generally seem less affected by the sun’s behavior. Reacting to changing hormone levels, some men may become increasingly irritable and aggressive, while others may instead become more creative. An increase in solar activity is found to increase psychotic episodes in individuals who already suffer from unstable psychological states. While we might relate such behavior to a full moon, in 1963, Dr. Robert Becker and his colleague, Dr.Freedman, demonstrated that solar changes also lead to a noticeable increase in psychotic activity. Yet these reactions are not simply isolated to a few particularly sensitive or unlucky individuals. Evidence indicates that wars and international conflicts most often break out when sunspots are rapidly forming or rapidly decaying, as these are times when there are more intense geomagnetic storms. In addition, this increase in solar activity also correlates to periods of more accidents and illness, as well as an increase of crimes and murders. The entire biosphere is affected by this electromagnetic pollution, and human behavior seems to react accordingly. Not all geomagnetic storms are disruptive. But over time, these extremes in solar activity may also affect periods of earthly conflict. The data on cycles of war and peace extend back at least 2,500 years. (Some believe that they may be traced even further, but the records are not as reliable.) Although some may argue that it seems as if there is always war somewhere, records show that periods of conflict increase and decrease in nearly regular cycles. As early as 1915, some scientists were beginning to recognize connections between solar activity and human behavior. This work began with Russian scientist Alexander Chizhevsky, who observed that mass changes in human behavior correlated to sunspot cycles. In the 1930s, Professor Raymond Wheeler, a historian at the University of Kansas, took this observation one step further. His research afforded numerical rankings to the severity of individual battles correlating to solar cycles. His data was statistically analyzed by Edward Dewey, who validated the existence of these war cycles. Yet he was unable to make a definite connection with sunspot cycles because the data at that time was insufficient. In the 1980s, with a more detailed analysis of Wheeler’s data, the connection became clear. This is when the geomagnetic activity is changing most rapidly on the upsurge of solar activity, or the downward part of the cycle, when sunspots are rapidly diminishing. In addition we can also see how this affects physiological mechanisms, such as altered brain rhythms and abnormal hormonal levels. In other words, wars could be a kind of mass psychosis. When we see the connection to physical mechanisms (electromagnetic pollution), this gives us some predictive insight for when increased aggressions were apt to start. Calculations indicate that we’re due to see another rise in intense solar activity in about two years: September 22, 2010. NASA predicts that this will peak in 2012. The internal compasses of some animals might work by detecting minute changes in the pace of biochemical reactions in different magnetic fields, researchers in the US suggested in June 2000. Many creatures, including some birds, amphibians and reptiles, navigate by sensing tiny changes in the Earth’s magnetic field. Sea turtles, for instance, can sense changes as small as a tenth of a microtesla—less than 0.2 per cent of the typical geomagnetic field. But nobody knows exactly how these biological compasses work. One theory is that the magnetite molecules found in some tissues act just like miniature compass needles. Another is that animals sense changes in biochemical reaction rates caused by differing magnetic fields, which are known to alter the pace of a wide range of chemical reactions. Some Russian scientists say that these same changes taking place now within our solar system and planet were occurring when the dinosaurs became extinct — a time that marked a gigantic shift in the earth’s climate and weather patterns, and perhaps a pole shift, as well. Our planet hasn’t flipped its Magnetic Poles in 780,000 years and may be long overdue. Scientists from the Russian National Academy of Science in Siberia have come to the conclusion that we have moved into an area of space that is different and has a much higher energy level. The Russians are reporting changes that are being recorded in space that have never been seen before. The Russians have looked at the leading edge of our sun’s heliosphere and they have observed glowing, plasma energy. The Russian National Academy of Sciences doesn’t give us a time-line, but the change from what was known and accepted to the way it is now represents a 1000 percent increase. And the Russians say that this change in the Sun is changing how the planets function and what kind of life they could support. They even report — but don’t explain — that the DNA spiral itself is altering. They feel that the continued expansion of the heliosphere will eventually take us into a new level of energy, that there will probably be a sudden expansion of the basic harmonic wavelengths that the Sun emits as it radiates energy out of itself, and that this increase in energy emission will change the basic nature of all matter in the Solar System. New data has revealed that the heliosphere, the protective shield of energy that surrounds our solar system, has weakened by 25 per cent over the past decade and is now at it lowest level since the space race began 50 years ago. The heliosphere is created by the solar wind, a combination of electrically charged particles and magnetic fields that emanate a more than a million miles an hour from the sun, meet the intergalactic gas that fills the gaps in space between solar systems. Without the heliosphere the harmful intergalactic cosmic radiation would make life on Earth almost impossible by destroying DNA and making the climate uninhabitable. If the heliosphere continues to weaken, scientists fear that the amount of cosmic radiation reaching the inner parts of our solar system, including Earth, will increase. This could result in growing levels of disruption to electrical equipment, damage satellites and potentially even harm life on Earth. It has also been postulated that this is the real reason for both global warming since higher energy levels of the Milky Way are almost certain to cause our Sun to burn hotter and emit higher energies. This is why other planets in the solar system, like Mars, Neptune, and Pluto are also warming up. Temperatures have been seen to rise on virtually all the planets in our system. This seems quite apart from any local phenomenon like greenhouse gases etc. Habibullo Abdussamatov, the head of space research at St. Petersburg’s Pulkovo Astronomical Observatory in Russia, recently linked the attenuation of ice caps on Mars to fluctuations in the sun’s output. Abdussamatov also blamed solar fluctuations for Earth’s current global warming trend. His initial comments were published online by National Geographic News. During a 75-year period beginning in 1645, astronomers detected almost no sunspot activity on the Sun. Called the “Maunder Minimum,” this event coincided with the coldest part of the Little Ice Age, a 350-year cold spell that gripped much of Europe and North America. Scientists from the European Space Agency’s Ulysses mission have proven that sounds generated deep inside the Sun cause the Earth to shake and vibrate in sympathy. They have found that Earth’s magnetic field, atmosphere and terrestrial systems, all take part in this cosmic sing-along. Although these tones are all around us, it would not be possible for us to hear them, even if we listened very closely. Their pitch is too low for the human ear, typically 100-5000 microHertz (1 microHertz corresponds to 1 vibration every 278 hours). The scientists say data from the Ulysses project provided an important clue as to how these sounds generated deep inside the Sun reach the Earth. Measurements made by the Ulysses deep space probe, which was launched in 1990 to orbit the sun, have shown that the pressure created inside the heliosphere by the solar wind has been decreasing. The Researchers believe that the key to the problem is magnetism. They suggests that specific tones described as g-mode vibrations are picked up by the magnetic field at the Sun’s surface. Part of this magnetic field is then carried away from Sun into interplanetary space by solar wind. The magnetic field of the solar wind in turn interacts with the Earth’s magnetic field and causes it to vibrate in sympathy, retaining the characteristic g-mode signals. The motions of the geomagnetic field then couple into the solid Earth to produce small, but easily detectable, responses as Earth, with many of its technological systems, moves to the rhythm of the Sun. The atmospheres of five of the planets and the Earth’s moon are changing. The earth’s atmosphere in the upper levels is forming HO gas that didn’t exist in the quantity that it does now. The Scientists from the Russian National Academy of Science say it’s not related to global warming, CFCs or fluorocarbon emissions. They claim the atmospheres of Jupiter, Uranus and Neptune are also are changing. The Martian atmosphere is getting sizably thicker than it was before. The Mars Observer probe in 1997 lost one of its mirrors, which caused it to crash. This happened because the atmosphere was about twice as dense as NASA had calculated. Venus is showing marked increases in its overall brightness. Jupiter’s energetic charge has risen so high that there is actually a visible tube of ionizing radiation that’s formed between the surface of Jupiter and its moon Io. You can actually see the luminous energy tube in photographs that have been taken recently. Uranus and Neptune also are becoming brighter. The magnetic fields of Jupiter, Uranus, and Neptune are changing. Jupiter’s magnetic field has more than doubled and Neptune’s magnetic field is increasing. All three of these planets are becoming brighter, and their atmospheric qualities, say the Russians, are changing — but they do not explain what is meant by this. The Russians report that Uranus and Neptune appear to have had recent pole shifts. When the Voyager II space probe flew past Uranus and Neptune, the apparent north and south magnetic poles were sizably offset from where the rotational pole was in earlier recordings. In one case, it was 50 degrees off, and in the other case the difference was around 40 degrees. Since 1900 we have gone from riding horses to launching satellites into space. From sending letters by horseback to firing them off with instantaneous email, cell phones, and faxes. On the other hand, we have gone from warring with primitive weapons to atomic bombs and bioterrorism. And perhaps even more significantly, in 1900 the Earth had 30 million species, species which took billions of years to create. Now, we have less than half that number — fewer than 15 million species. And this all happened in 100 years: a geological blink of an eye. Disturbingly, we may be at the bring of World War Three following an economic crash of the world economy. This new information about the changes in our solar system comes at an interesting time for our planet. It could be possible that for some time celestial events may have been playing their part in shaping our way of life on the planet, and that these changes that we are now seeing with our sun, magnetic field, and solar system may be the very thing that changes our world as we know it into something new. Only time will tell, but it appears that the future may already be here….